Barbara Niven is a lot of things, but if you were to ask her, she would probably tell you that what she is most proud of is being a mother and a grandmother. She waves that flag proudly and so she should. Barbara Niven, the actress has appeared in more than one hundred feature films and made for television movies. 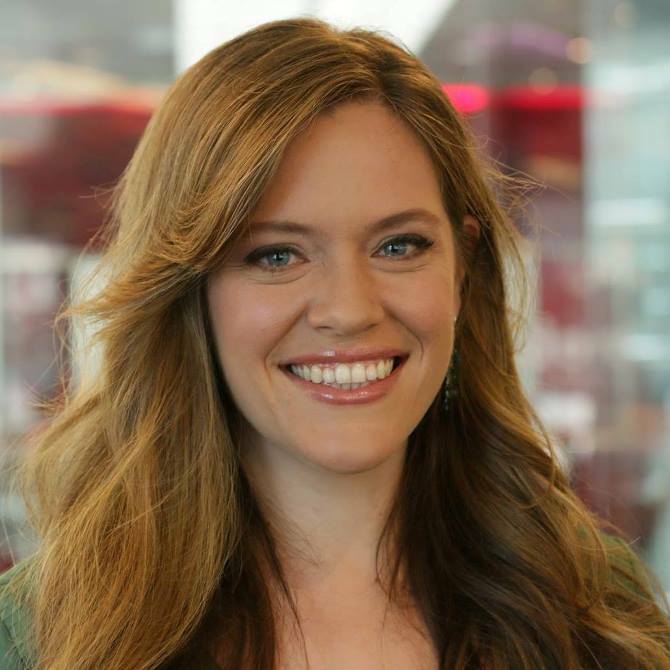 Her roles have been as diverse as currently starring as Megan O’Brien on the Hallmark Channel’s wildly popular Chesapeake Shores, where she is the prodigal mother who returns home to her five adult children and her ex Mick O’Brien or in her role as Delores Swensen, mother to amateur sleuth Hannah Swensen played by Alison Sweeney in the Murder, She Baked mystery movies, also Hallmark productions and the middle-aged Rebecca Westridge in Nicole Conn’s A Perfect Ending with the late John Heard and Jessica Clark, a story in which her character is trapped in a loveless marriage and she falls in love with another woman. Film and television actress Rebecca Staab recently talked to Riveting Riffs Magazine from her home in California. The former supermodel who was born in Kansas and who grew up in Grand Island and Omaha, Nebraska discussed a wide range of topics from one of her passions, rescuing dogs, to her partner in life William, to touching upon her love for home renovations, which she warned this writer would easily comprise an entirely different interview, to talking about how she enjoyed an illustrious modeling career and currently is one of the film and television industry’s most respected actresses, careers that this former straight A high school student never had her heart set on. In this the first part of a two-part interview with Rebecca Staab she talks about her childhood and later her modeling career. It is our hope that our readers will get a sense for this funny, determined, down to earth, brilliant and engaging woman who recently starred in the ABC television miniseries Somewhere Between, as Colleen DeKizer, was Elizabeth Barrington in the television show Port Charles, is currently shooting the pilot for the television series Manopause, appears as Camille Richfield in the 2017 film Coming Home for Christmas and who has appeared in a plethora of films and television shows, some of which are still in various stages of production. 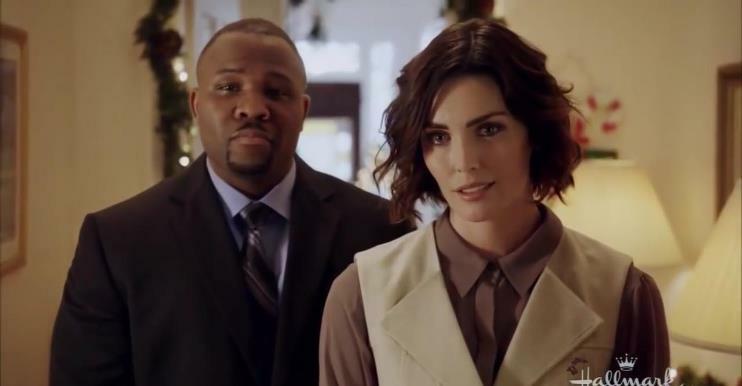 Don’t let the fact that actor Aaron “Quick” Nelson is a big sturdy guy who can cast a mean look with the best of them if his film role requires it, scare you off, because as witnessed in the 2016 Hallmark movie Christmas In Homestead he really is just a big teddy bear. In the movie, which starred Taylor Cole, Michael Rady and Brooklyn Rae Silzer, Nelson plays Gavin Williams the bodyguard for actress Jessica McElllis (Taylor Cole) who is filming in a small town, as Christmas approaches. There is an aww moment in the movie when child actress Silzer and Nelson have an extended scene at a pretend tea party. Actress Imogen Tear just turned fourteen years old and she has already won several awards and when you are in a conversation with her she sounds like she has been at this for years. In fact, she has been acting for years, not many years, but the past five years. Throughout the conversatino you are also reminded of something else that she is a teenager and she still sees the world through the eyes of a teenager and in a very positive way. She defaults to superlatives when describing the people who are her friends and while talking with enthusiasm about the television and movie sets on which she has worked. She also does something else that immediately stands out and that is that she expresses gratitude often for the opportunities that she has been given, for her family and for other actors who have helped her along the way. She talks about winning the Young Entertainer’s Award for best actress in a television series (awarded to those between the ages of five and twenty-one). Recently, she also won a Joey Award for Best Lead Actress in a television role (an award, which is also given to youth actors). I had a lot of days with really dark times and that were really challenging. There were times when I didn’t want to get out of bed. Things had happened, but I have also had some really blessed days and some really good days. Even on the darkest and most challenging days the one thing that I will say is life is exciting no matter what it brings,” says film, television and stage actress and playwright Charlene Tilton. 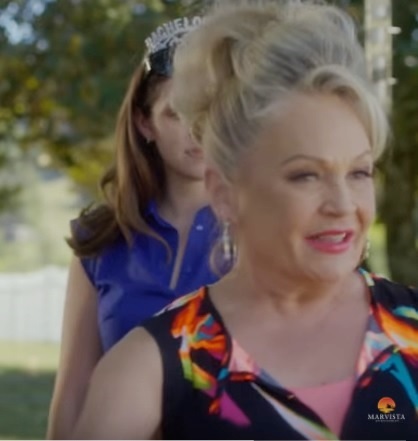 Charlene Tilton did not have time to be bored in (2017), even if that was in her nature, as she co-starred with Lauren Aliana in the movie Road Less Traveled, as an eccentric wine making aunt, had another major role in Second Chance Christmas, as the meddling mother of Katrina Begin’s character Caroline who is dealing with amnesia and she appears in the drama Vengeance: A Love Story with Nicholas Cage and Anna Hutchinson, as the mother of two meth addicts and a drug dealers. In the latter role she says some of her own friends did not recognize her when they saw the film. She appeared on the revived Battle of the Network Stars and she wrote the script for a one woman play Tammy Faye Tweets. At the beginning of 2017 Charlene Tilton starred in the stage production of Driving Miss Daisy. Along the way there was a stop in October of 2017 to speak at Voices for the Voiceless: Stars for Foster Kids, hosted by Seth Rudetsky in New York City, just one of several charitable causes that Ms. Tilton is involved with. The feature suspense filled PG rated film Solver opens in theaters across America on January 29 and simultaneously is being released on the digital streaming services of Amazon and iTunes. There is not a single weak actor in this film from the local Sheriff Riley (played by Timothy Brennen) to the lead actors Kerry Knuppe as Alex Derringer and John Ruby who plays Luke Williams. The two other protagonists are Jesiree Dizon who makes a spectacular major film debut portraying Nadine Simms and Antonio Jaramillo as badass Demien LeBlanc who will give you nightmares, while your eyes are still wide open. 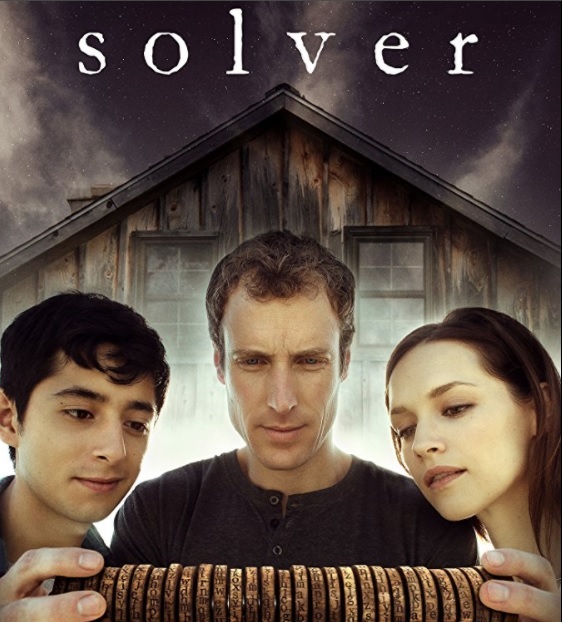 Solver is the brainchild of actor / producer John Ruby and producer / screenwriter Jack Kelley who crafted a mystery that is chalk full of clues that easily engage the filmgoer, has as an underlying element a budding romance between Luke and Alex and even serves up amateur sleuth Diego Gonzalez played by Pablo Castelblanco. Luke Williams works in the corporate world of the big city and his grandfather with whom he was very close passes away, taking Luke back to his roots in small town America. What begins as a trip to tidy up his grandfather’s affairs and to take care of funeral arrangements, becomes the catalyst for a high stakes adventure. We would be here all day if we attempted to list every one of the musical accomplishments during Sally Stevens' career, but throughout the course of our recent conversation with Sally and in the account of that interview which you will read here, we will attempt to give the reader a glimpse into the career of one of America’s and the music industry’s most successful people, during this two-part interview. 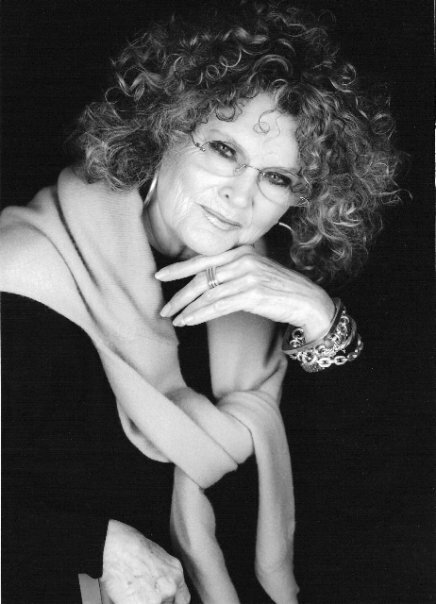 Sally Stevens has performed and recorded as a solo singer, a session singer, she has scored feature films and she has worked as a vocal contractor, auditioning and hiring the singers and choir members who appear on major films and her film work as relates to music now encompasses more than 600 films, including Academy Award winners and nominated movies. Here are just a few of the films that Sally Stevens has worked on, Tomorrowland, Butch Cassidy and the Sundance Kid, The Secret of NIMH, Dr. Zivahgo, The Sound of Music, Bridge of Spies and Jurassic World. She toured and recorded with Burt Bacharach and she lent her voice to the records of, Frank Sinatra, Andy Williams, Country Joe and the Fish, Neil Diamond, Michael Bublé, Percy Faith and Sonny and Cher to name just a few of the iconic artists with whom she has worked. feature film Solver will be in theaters early in 2018, which means once again one of Riveting Riffs Magazine’s favorite actresses Kerry Knuppe will also be on the big screen. Knuppe is one of the most versatile and gifted actresses in film today with other film credits including a major role in Like A Country Song and Nicole Conn’s A Perfect Ending, where she played the daughter of Barbara Niven’s and the late John Heard’s characters.